Location: St. 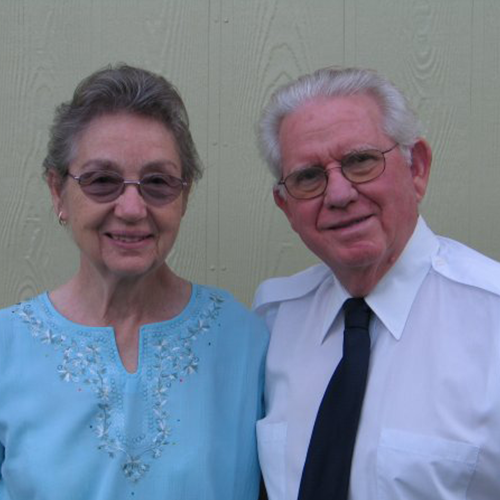 Cloud, FL Sending Church: None Ministry Started: 1990 Duration: Full-Time About Bernie and Jean LaTour were trained as New Tribes missionaries in 1970 and attended language school in 1972. In 1973, they were invited to the work in Venezuela where they learned about missions from the inside out. They worked in the dorms for missionary children, which allowed them to experience the lives and needs of the indigenous peoples. Jean served as the camp nurse, treating everything from snake bites to machete wounds. They spent one year printing and distributing Bible texts that had been translated into the various tribal languages. Due to family illness, Bernie and Jean returned to the States in 1980. Bernie worked at the then-developing New Tribes Mission retirement home in Oviedo, Florida. In 1988, Bernie accepted a position as Director of Missions at Christian Fellowship Church in Ashburn, Virginia where he experienced the mission field from an administrative perspective. A group of missionaries approached Bernie about the church handling their financial support. When the church was unable to do so, Bernie began the process of starting a non-profit organization. With the Lord's guidance and help from those He brought to our path, Y.E.S. became a reality in 1990. Ministry Beyond the scope of the mission's involvement with missionaries, their current ministry includes: speaking engagements both nationally and internationally, coordinating and leading short-term mission trips, and providing daily vacation Bible school materials to thousands of children annually. They are also developing International Christian Fellowship of Churches, a ministry to promote unity and fellowship among churches and pastors worldwide. Personal Message 'Seek ye first the kingdom of God...' (Matt. 6:33), however God may lead you. If He leads you to support us financially, we praise God for his faithfulness. If He leads you to pray for us, we deeply appreciate that. Our desire is that you seek first his kingdom.